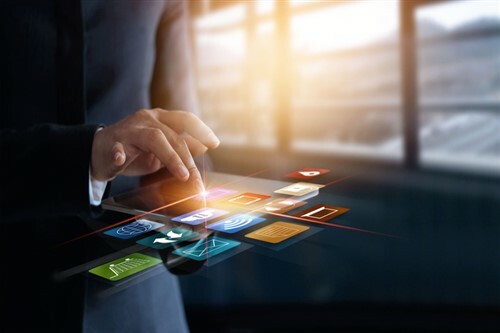 HRTechNews provides the latest updates on vendor financing, mergers and acquisitions, partnerships, and major product launches and updates. HR software maker Cascade HR has partnered with training course developer E3 Compliance Training to create a mobile app aimed at training employees on the EU’s General Data Protection Regulation (GDPR). The iOS app, Get GDPR Smart, is designed to help users become familiar with the stricter laws that will govern the data collection and storage practices of organizations, reports the UK’s Business Up North. Learning is self-directed and supported by games, quizzes, and simulations to test how employees respond to real-life data privacy concerns. Swiss staffing management firm Adecco is taking over global education technology startup General Assembly for US$412.5m including debt. General Assembly provides training in areas such as web development, data science, analytics, and digital marketing. The New York-headquartered startup will operate its 20 international facilities as a separate division within the Adecco Group under Jake Schwartz, CEO and co-founder of General Assembly. The purchase signals Adecco’s push beyond recruitment into talent development. Adecco announced that its aim is to become a leader in the upskilling and reskilling segment. New York-based digital credentials service Credly has announced its acquisition of Acclaim, the badging business of publishing group Pearson, for an undisclosed amount. Pearson will own a minority stake in Credly. The two companies said there is a growing demand worldwide for digital credentials, such as badges that can be displayed in email and social media profiles as proof of accomplishment, along with other digital skill recognition and credential verification services. Mumba Cloud, an enterprise mobility solutions provider based in Sydney, has developed an app that combines multiple HR software solutions into one interface for a single-system login. The company said the platform is accessible on any mobile, tablet or desktop device, and can be configured and integrated into new or legacy IT systems. It claims the app “simplifies the drudging tasks that often consume important hours from an employee’s working life”. Online learning specialist Nexford University has raised a US$4m seed funding that will reportedly be used to bolster the group’s curriculum and technology. The Washington, DC-based company claims its brand of higher education prepares students for the global workplace. Nexford has developed an AI-powered educational portal that provides individualized learning. WellRight, a provider of online and mobile corporate wellness programs, is giving employees and their families free coaching from Marquee Health, a health and wellness services provider. Marquee Health has been a partner in WellRight’s employee benefits program since 2016. This year, the two companies are extending the perks to the families of employees. Jonathan Short, president of Marquee Health, sees two likely outcomes of this extension of benefits: better tracking of the participants’ activity in between wellness coaching sessions; and better formation of healthy habits within families.